#1: What Can I Afford? #2: What Do I Want? The true definition of luxury. If you listen to their slogans, car companies make buying a car sound like a no-brainer. The truth is cars lose money as soon as they’re driven off the lot. Plus, they cost money to use and maintain. So can buying a car be a positive economical choice? We’ll help you decide! Their current car gets poor gas mileage. They’re tired of the old car and want something new. Their current car is always in the shop for repairs. Their current car no longer runs. They’re looking for better safety features. 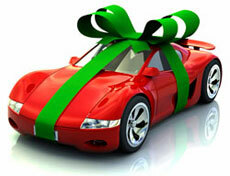 Purchasing a car is a big decision and unless you have the cash on hand, it also means getting a loan. The more you understand about the process of financing a vehicle, the more likely you are to get the most out of your purchase. Determine how much car you can afford. Explore purchasing options – new vs. used, buy vs. lease. Uncover the benefits of comparison shopping. Learn to negotiate the best deal.